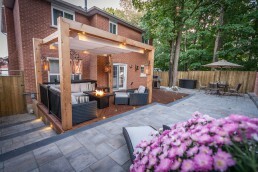 Once overlooked, outdoor living has become an opportunity to add functionality and footprint to previously unusable spaces. 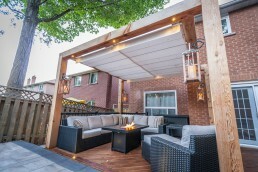 The idea is to make the outdoor space an extension of the indoors, by creating a natural flow and consistent theme. Mixing style, high quality and complete satisfaction becomes a task that many companies find challenging. 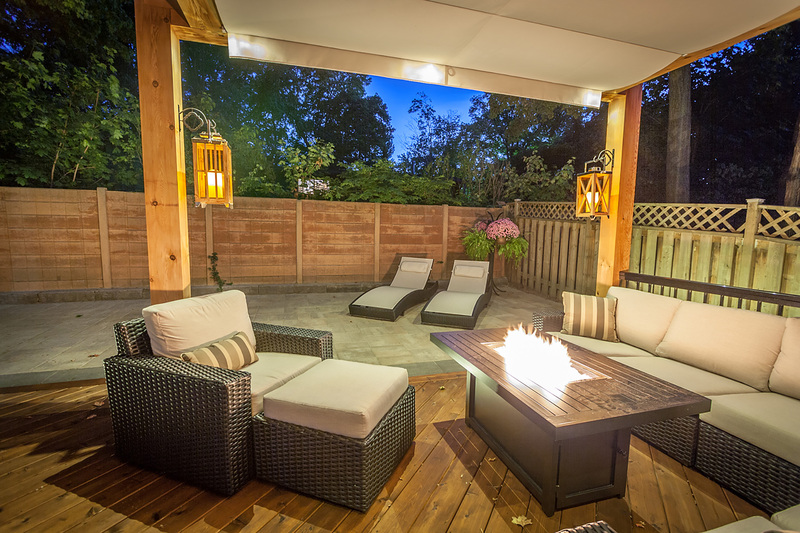 However, with Royal Decks and Landscapes, numerous satisfied customers are enjoying the beauty and value of their new spaces. 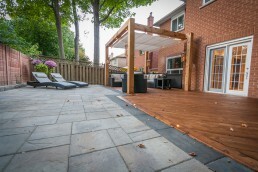 Royal Decks and Landscapes is a custom decking company servicing Ontario. 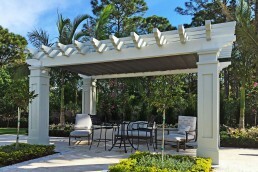 The skilled team members offer many services such as building pergolas, decks, stairs, stonework and landscaping. 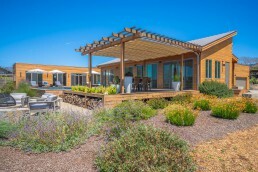 The company’s extensive track record of fulfilling their customers’ needs and wants, has allowed them to develop an accomplished portfolio. 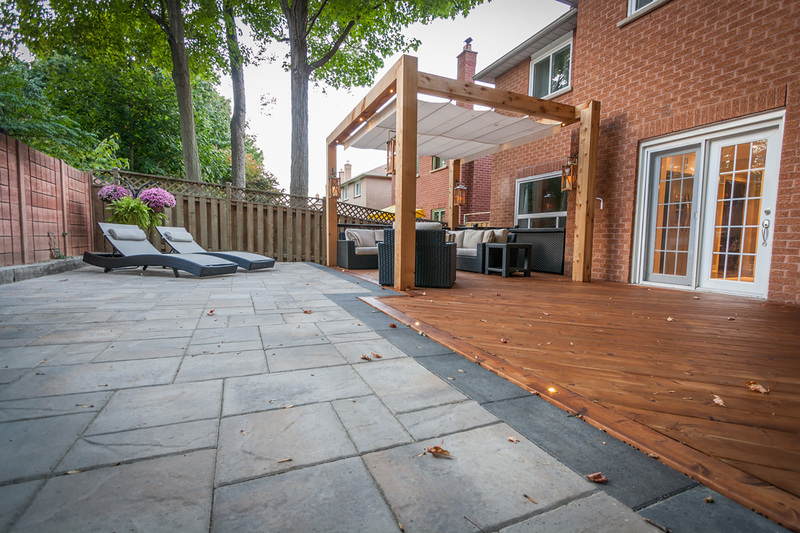 Royal Decks and Landscapes have become successful given that they build on five core values: great design, quality, time and budget, warranty, and safety. As President, Miro Simecek understands the long-term benefits of building partnerships. These partnerships have certainly allowed Miro and Co. to offer solutions that stand above the competition. ShadeFX’s Reseller Loyalty Program is a tiered platform for the purpose of rewarding partners for repeat business. 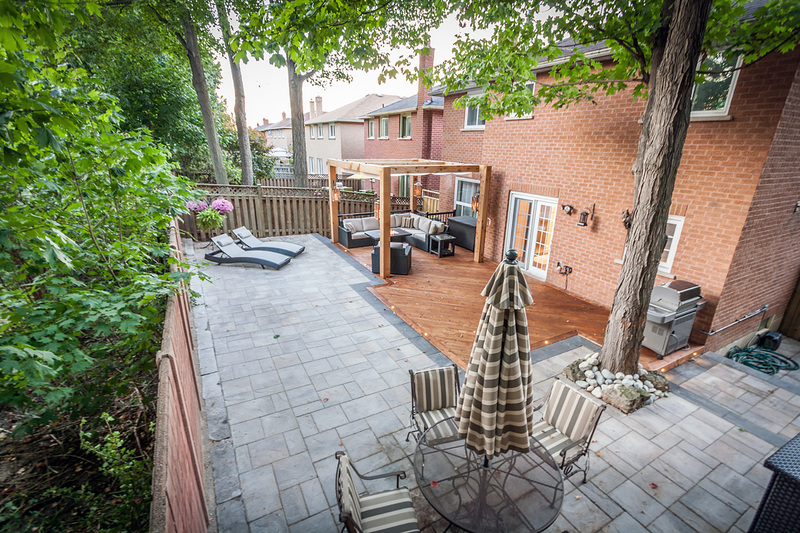 Royal Decks and Landscapes have benefited from the program as it continues to help grow their business by providing a competitive advantage. 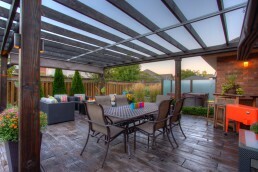 This project overall is an excellent example of what Royal Decks and Landscapes has to offer. 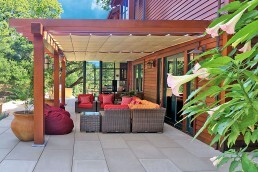 Stonework surrounding the deck defines the space and establishes its charm. 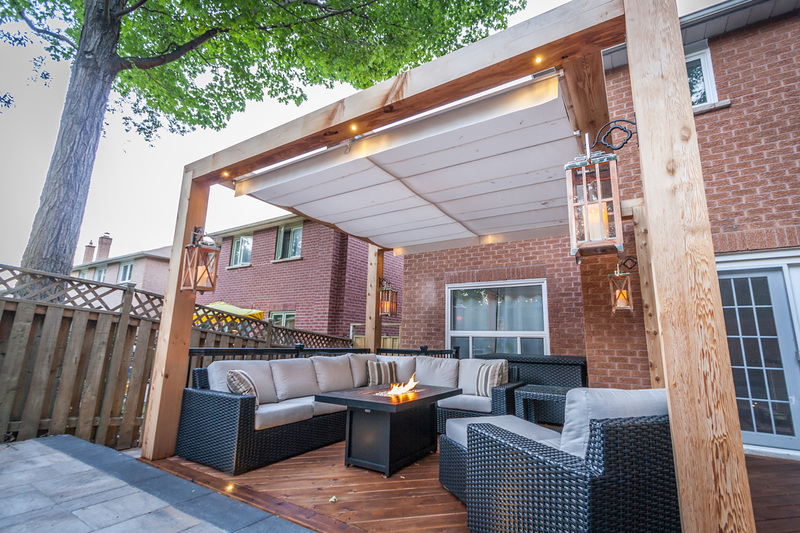 The integrated lighting showcases the craftsmanship of the deck and pergola at night, creating a warm and inviting ambiance. 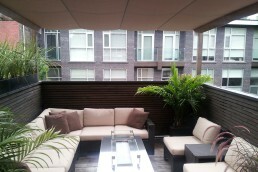 The retractable canopy delivers comfort and style to the space, allowing it to be enjoyed under any weather condition. 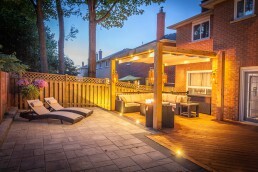 With the help of Royal Decks, this once uninhabited backyard has become a hotspot for socializing and relaxing. 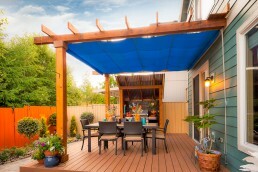 After finishing your deck, don’t forget to add the shade. Let us help! 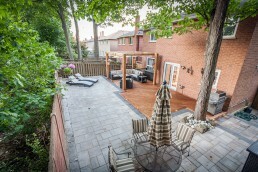 This project is an excellent example of what Royal Decks and Landscapes has to offer. 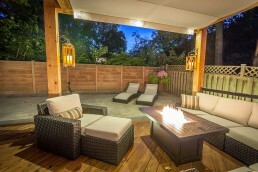 Stonework surrounding the deck defines the space and establishes its charm. The integrated lighting showcases the craftsmanship of the deck and pergola at night, creating a warm and inviting ambiance. 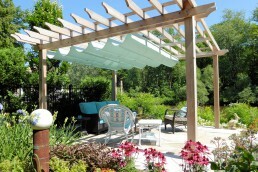 The retractable canopy delivers comfort and style to the space, allowing it to be enjoyed under any weather condition.